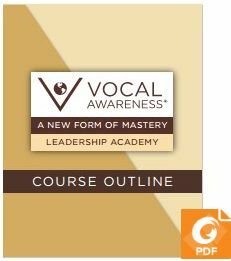 The Vocal Awareness Executive Course is an ongoing course comprised of the greatest and most comprehensive lessons from 50 years of Vocal Awareness integrating the concepts of Communication Mastery with Leadership Mastery. 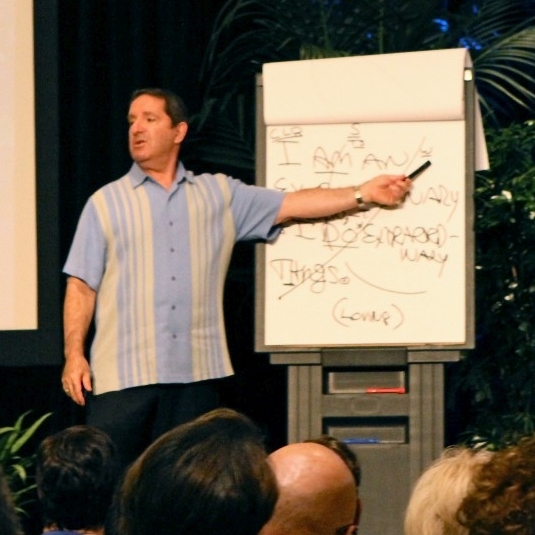 It is especially targeted for those executives, high level personnel and senior management who give keynote speeches, address boards, and other leaders who regularly give Power Point presentations, media interviews, and public appearances. Examples include: NFL Hall of Fame speeches, Fortune 500 Quarterly Earnings Reports, Annual Conference Speeches, etc. 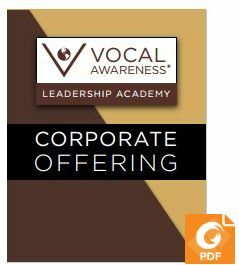 Vocal Technique – Designed to help one discover their authentic voice. Additionally, exercises created to strengthen one’s voice, enhance resonance, instill confidence, and create new more effective communication habits. Storytelling – The distinction between merely conveying data and artfully communicating the message. Vocal Awareness axiom – It is not just the message, but the messenger that is critical. Perception is reality – An opinion is created in three seconds. One never gets a second chance to make a first impression. How to be in charge of how you want to be known. Speech Writing – How to craft effective public addresses from Powerpoint to keynotes.